It’s May, but for different areas of the country, that means different crops you can start! Here in Zone 7, we’re well under way, and have already harvested our cool weather crops, and my tomato plants have had a sudden growth spurt. In this article, we’ll discuss what to grow in USDA Zones 3-10, which covers most of the contiguous United States. This is where you can find some early heat, so you won’t be able to plant a lot of seeds in this region. This is why you will have to focus on starting with some transplants. You can use lima beans, cantaloupe, cucumber, eggplant, jicama, okra, peppers, sweet potatoes, pumpkin, winter and summer squash as well as watermelon and tomatillo. Edible cactuses are another option. If you live in a desert area or if water is scarce, choose varieties that are drought resistant. Eggplants, for example, thrive in arid desert environments. Make sure you water generously in the mornings or evening dusk (very morning will help your plants withstand the mid-day heat. For these zones, you will be ok with planting lima beans, snap beans as well as sweet corn, cucumber, eggplants, okra, peppers, sweet potatoes, winter and summer squash as well as watermelons. If you want watermelons, you may want to grow them early in the month, especially if you’re direct sowing with seeds. Cantaloupe is another option, be sure to allow it to trellis to keep it off the ground and away from critters. 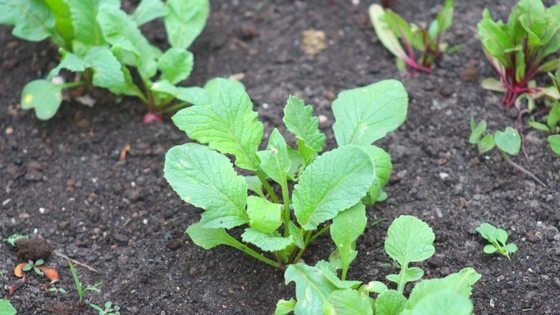 If you have a cooler area of your property, you can still sneak in some radishes and baby lettuce in Zone 7, but kale and broccoli will bolt, as will lettuce if it’s not harvested at an early stage. Here you may also want to opt for some specific seeds. These include watermelons, tomatoes, summer and winter squash, pumpkins, sweet potatoes, peppers, okra, lettuce, eggplants, sweet corn, cucumbers, cantaloupes as well as lima and snap beans! What you have to note about these two zones is that they don’t’ have to deal with such a challenging weather as other regions do. This is why you can opt for a variety of crops. Thankfully, these can be planted throughout May, with little to no problems. For these zones, you will see that you can easily plant a wide array of seeds, and the temperature is on your side. You can still start watermelon and cantaloupe inside a greenhouse. Kale, radish, head and leaf lettuce, peas, chard, carrots, Brussels sprouts, broccoli, beets can all be started outdoors – if frost threatens the tender starts, be sure to cover with a cold frame. When the ground is workable, you can plant your potatoes. You can start hardening off your tomatoes, summer and winter squash, pumpkins, cantaloupe, cucumbers, but if frost threatens, leave them indoors. A frost will kill them, wasting your work. This is quite an incredible investment and one that will almost certainly pay off very well in the end. The idea here is to invest in crops that deliver a very good quality and which are easy to nurture and take care of. Most of them can be grown throughout May, although chard and leaf lettuce are better grown at the earliest parts of May to prevent bolting. Which of these vegetables and fruits are you growing? Leave a comment below!